Iraqi army? Columnist Diya' Al Jaburi blames the lack of conviction of Shiites leaders. "Why haven't we heard that popular groups and formations - Salam, Ashura, Akidah, Kataeb and Asaeb [Shiite militias] have surrounded the jihadis of Daesh the way we heard that Daesh had surrounded army units and committed massacres at Camp Speicher, Saklawiyah, Mosul, Jarf Al Sakhr, Diala, Anbar, etc.? … Perhaps the sense of conviction of leaders of these popular militias - the ones Maliki put in charge of the lives of our troops - lack the level of commitment shown by Baathist officers?" Their tongues [Shiite leaders] form nonsense, and the words don't penetrate the ears of people who don't believe in their leaders have taken responsibility, in their evaluation of events, and their vision and strategies, which are supposed to work in harmony with the existing situation and within the context of politics. Unrealistic perceptions, fossilized thinking and obsessions are unsuitable for building a doghouse, let alone for building a homeland! The war launched by Iraqis to purge the Takfiri gangs of Daesh [aka/ISIL or Islamic State] was lost before [Grand Ayatollah] Sistani issued his fatwa for jihad. The Iraqi army was going from defeat to defeat because of the betrayal of a leadership imposed on them - that actually included Baathists. Who is responsible for bringing back a battle-shy leadership based on loyalty in the style of the Baathists, to take command of the Iraqi army? I ask: who was the executive leader of the state!? Isn't he the same person responsible for a third of Iraq falling into the hands of Daesh? In a live interview, commander of operations in Mosul, General Mahdi Al Gharawi, gave CNN a very serious confession. He admitted that the head of the armed forces, "Nouri Al Maliki," was the one who ordered the army to withdraw from Mosul and allow Daesh to enter. And why? Because Maliki wanted to the people of Nineveh to "know what Daesh is." charges Shiite leaders of being misguided and lacking conviction. 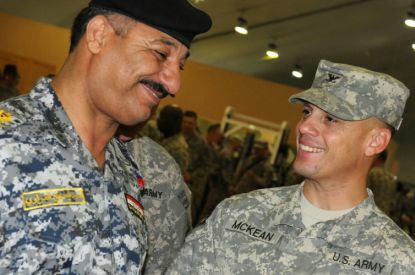 Commander of operations in Tikrit, General Ali Al Fariji, after being accused of betraying the soldiers in Camp Speicher which led to the deaths of 1,700 martyrs, fled to Lebanon by order of the commander-in-chief of the armed forces, Nouri Al Maliki, for fear that testifying before the military tribunal would have caused innumerable heads to roll among the army leadership. [Editor's Note: According to news reports and Human Rights Watch, on June 12, Islamic State militants carried out a mass killing of at least 1,700 Iraqi Air Forces cadets captured in June, when the extremists overran the former base of the U.S. military Camp Speicher near Saddam Hussein's home town of Tikrit. A number of former Baathist officers, including Saddam Hussein's nephew, are thought to be responsible for the massacre]. Commander of Ground Forces Ali Ghaidan offered a written confession to the new commander-in-chief of the armed forces, Haider Al-Abadi, saying in effect that Nouri al-Maliki controlled each and every movement of the army, which is why Daesh was permitted to enter Iraq in the first place. Up to now, Joint Operations Commander Abboud Kanbar, an ostrich who buried his head, has said nothing about his position regarding these events. His name was not among those on the list to be questioned in an effort to uncover the circumstances that claimed the lives of thousands of martyrs - thanks to the treason of the commanders mentioned above. I would like an answer to the following question: Why haven't we heard how popular groups and formations - Salam, Ashura, Akidah, Kataeb and Asaeb [Shiite militias] have surrounded the jihadis of Daesh the way we heard that Daesh had surrounded army units and committed massacres at Camp Speicher, Saklawiyah, Mosul, Jarf Al Sakhr, Diala, Anbar, etc.? Perhaps the sense of conviction of leaders of these popular militias - the ones Maliki put in charge of the lives of our troops - lack the level of commitment shown by Baathist officers? Alhayat Aljadeeda: Israel Uses 'Diplomatic Terror' Against the U.S.
News, Switzerland: As Iraq Reerupts, 'Media Mad Cow Disease' Takes Hold in U.S.
Iraq News Agency, Iraq: Al-Sadr and Al-Maliki: More Shiite or Iraqi? Kitabat, Iraq: Letting Iraq Collapse Will Spell Disaster for U.S.
Kitabat, Iraq: Iraqis Need Patriotism, Not Americans Troops! Kitabat, Iraq: Iraq is Our Country!!! Kitabat, Iraq: Wake Up Iraqis! : The Americans Never Intend to Withdraw! Al Iraq News, Iraq: Iraq's American Embassy is 'Suspicious' and 'Dangerous'! 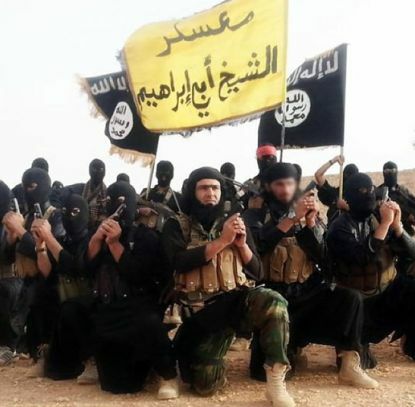 Iraqi News Agency, Iraq: Is U.S. Conspiring with Iran, or are they Simply Fools? Iraqi News Agency, Iraq: Al-Sadr and al-Maliki: More Shiite or Iraqi?